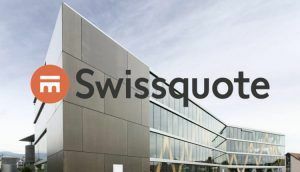 Swissquote, an online bank, has opened up a cryptocurrency custody facility that could be replicated by other banks in the near future. 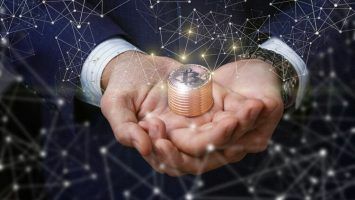 Of the several issues that cryptocurrencies have had to face in getting integrated into the normal economy has been the lack of support from the conventional banking system. 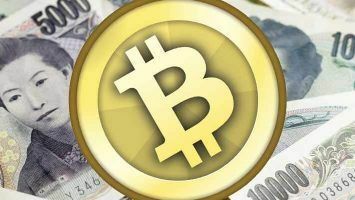 But that situation could change now with the news from Switzerland that a major online banking company in the country has initiated steps to take responsibility for the custody of their customers’ Bitcoin assets. The bank, Swissquote, has allowed its customers to transfer their digital currency holdings lying in their wallets to their regular banking accounts. As mentioned, this development is quite significant from the perspective of those holding crypto assets and for the very future of Bitcoin and other digital currencies. These online-only assets have been seen in negative light for several years. 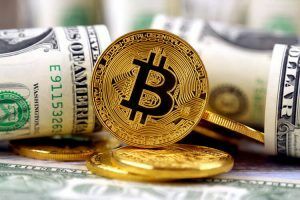 Firstly, the massive losses people incurred when the price of Bitcoin, which touched a high of $20,000 in 2017, fell steeply—turning public opinion against the world’s most popular cryptocurrency. Then, there’s the general opinion that cryptocurrencies are used for illegal trading in dark web markets and that holding these digital assets could invite investigative agencies’ undesirable attention towards them. Although, recent developments have shown that Bitcoin is slowly being used less on the dark web. All these may or may not change in the immediate future. But one step has been taken by Swissquote, and others may follow. Holding the private keys to the cryptocurrency wallets of the owners of these digital assets secure is one major sticking point in mass integration and institutional adoption. The private keys are held by the cryptocurrency exchanges similar to what traditional banks do in the offline economy. Though there have been instances of the servers of these exchanges getting hacked, it has been considered a secure arrangement by the cryptocurrency asset holders. According to Swissquote’s press release [PDF], the institution appears to have put in efforts to find the solution to this as well. The bank says it has roped in a fintech firm, Crypto Storage AG, which is helping provide the bank with the measures needed to securely hold the private keys of customers’ Bitcoin holdings. They say the servers could be held in military-type bunkers and it may be physically impossible to access these servers. The bank can even resort to holding the private key in a physical form in lockers inside these vaults. Whatever the actual arrangement, the owners of cryptocurrencies may feel optimistic that the days ahead might see some changes in the way their digital assets are held, used and transacted. While the beginning has been made in Switzerland by Swissquote, the bank has made an announcement that the model will be replicated in other regions of the world, particularly Asia. The bank says it has already setup shop in Singapore and plans to obtain a license to carry on trading in currencies there. It can be expected that cryptocurrency owners in this region may also get the benefit of their assets being held by an institution. It is quite rarely that a finance venture with international footprints would choose to avoid the United States. Most companies would have chosen the U.S. first and considered the world of endless opportunities. But the full service trading platform eToro, which has its business in over 140 countries, is finally making its entry into the U.S. markets. and sell a variety of assets, you socialize with others on the platform and even learn the nuances of how to trade in different assets. For those who are not familiar with eToro, the Israel-based online platform is an interesting marketplace on the internet. As mentioned, the eToro site can be a very helpful place to visit, especially for those new to the process of online trading. Those signing up for the first time have the option to choose a virtual model, where you can start trading without making any investment. And once you get a grip of the various moves one can make, the real options are always open. eToro offers the entire range of trading to be conducted on its platform as one would see in a conventional stock trading platform. On the social media angle, you can see comments made by others, and if you are an expert, you can write what you think of the market and the trades being conducted. And finally, there is this scope to learn through these comments and opinions posted by the experts. To start with, eToro has announced that it will make its presence extended to customers living in 30 of the 50 states in the U.S. Two territories also figure into this. It may expand later; these operations need regulatory approvals from the authorities. In terms of the services to be offered, whatever types of activities are found on the existing site to the benefit of the people in eToro’s base of 140 countries will be made available to the customers in the U.S. as well. include Bitcoin or several altcoins such as Litecoin, Bitcoin Cash (BTC), Ethereum, Ripple and Stellar. More units may get added later by eToro. flat currencies as well. The total number of asset classes exceeds 1,500.
that the U.S.-based cryptocurrency exchange has paid just $13.5 million for this acquisition, but the news itself has raised a lot of controversies. The information has been shared publicly based on a leaked document that is claimed to be the legal paper to seal the deal. There is no official confirmation yet on whether this document is authentic or not. But the issue has been in the air for some time, and speculation was rife that such a deal was in the making. Based on this legal document, obtained by Bitcoin Magazine, Coinbase gets hold of the entire shareholding of Neutrino in exchange for the payment of $13.5 million. Of this amount, a large chunk, close to $5 million, goes to one entity, 360 Capital, a firm registered in the European Union, since the venture capital firm had made an investment of $565,000 in Neutrino back in 2017.
would be disbursed later, though there is no indication of when this would happen. After Coinbase announced its acquisition of Neutrino back in February, a controversy erupted on social media and other online forums that this was an unwelcome alliance since Neutrino had some suspect credentials, namely its affiliation with Italian software startup Hacking Team. According to these sources in the crypto community, the three executives of Neutrino (mentioned above) had worked for Hacking Team in helping certain law enforcement agencies with technology that is capable of mounting surveillance. Alberto Ornaghi and Marco Valleri both founded Hacking Team, and Giancarlo Russo served as COO. The objection is that they ended up giving this technology to autocratic and dictatorial regimes in other countries which could be misused against their own citizens. The issue is then being highlighted to boycott Coinbase, by setting in motion the #DeleteCoinbase movement on social media. Reacting to this controversy, Coinbase has assured the members of the crypto community through a blog post that whoever had to do with the Hacking Team in Neutrino will be assigned to other tasks or will be shown the door, so that the complaint is taken care of. It’s important to note that the legal document that triggered this backlash is still to be officially authenticated.